What better gift for the big cheese themselves! 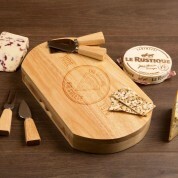 This quirky hevea wood cheeseboard is a unique keepsake that will look good in any kitchen. 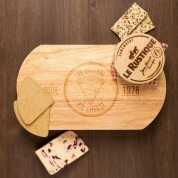 The fun, engraved design includes a big wedge of cheese, with the words “The Original Big Cheese”. The recipient's name and year of birth is also engraved on either side of the design. 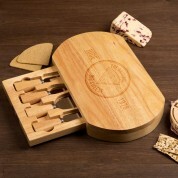 The board is completed with an integrated drawer, holding four cheese knives to match the board. It is a gift that will look great while on use, or on display in the home. 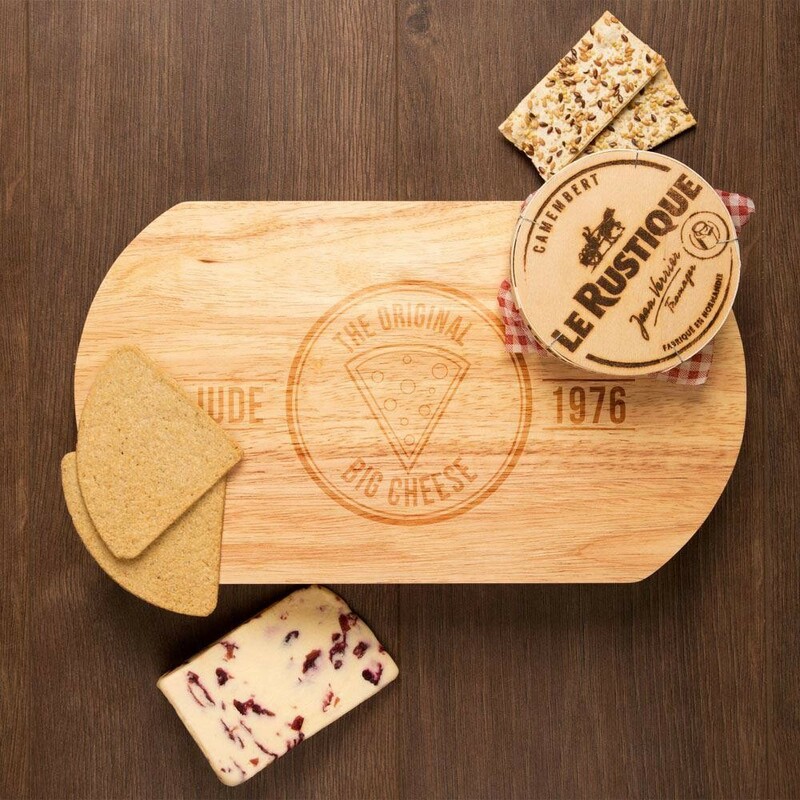 Our cheeseboards are made from natural wood, and the colour of grain may vary from the images shown.